KANSAS CITY From the creator of Boom! 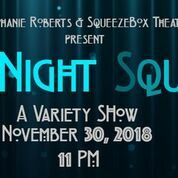 An International Lost and Found Family Marching Band, and Write to Me, Late Night Squeeze: A Nocturnal Variety Show will keep Kansas City audiences up at night with a grab bag of local art and entertainment. 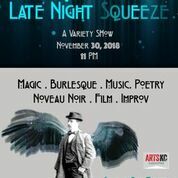 Thanks to the support of an ArtsKC Inspiration Grant, Stephanie Roberts partners with SqueezeBox Theatre to produce a series of late-night events that aim to support the established artist community, nurture and introduce new voices, and bring new audiences and patrons to the downtown community. The first of four shows in the series will premiere at The SqueezeBox Theatre, 1519 Oak St., KC, MO, November 30, 2018 at 11:00pm (Doors open at 10:30). Four performances a year will be held at 11:00 pm, primarily on First Fridays at the SqueezeBox Theatre, allowing performers and audience members the flexibility to perform in or see an earlier event. There will be seven to nine acts per show, ten minutes each, with as wide a variety as possible; e.g. theatre, performance art, music, improvisation, spoken word, dance and film/video. This first performance will feature music by Amado Espinoza and Karen Lisondra, film by Steve Snell, poetry by Jessica Ayala, improv by the female duo, Genuine Pig, Nouveau Noir by James D. Conqueror burlesque by Bohemian Cult Revival, magic by C.K. Carey and “Late Night Grab Bag” by Roberts who will serve as the evening’s MC. There will also be a raffle, a mini live auction and local spirits served at SqueezeBox’s unique Memory Jar Bar. Stephanie Roberts (producer/performer) is Associate Professor of Physical Theatre at UMKC Theatre MFA Program where she teaches physical theatre and devising. She has toured nationally and abroad with companies such as Annex, Tears of Joy, Living Voices and Seattle Mime Theatre. She has also taught and directed devised work for the Seattle Repertory Theatre as well as Cornish College of the Arts. Devised works include Write to me (Best of the Writer’s Place, KC Fringe Festival), Slammed!, Eat This! (Critic’s pick, “Best of the Pitch”) and Immeasurable Heaven (UMKC Theatre), Tallahassee (KC Fringe Festival) and Boom! An International Lost and Found Family Marching Band (KC Fringe and national tour). Professor Roberts was the 2010 recipient of the Charlotte Street Foundation Generative Performing Artist Award as well as an Inspiration Award from ArtsKC with which she developed her one-woman play, The Mask of the Broken Heart (Critic’s pick, “Best of the Pitch”). Roberts was also an artist-in-residence at the Nelson-Atkins Museum of Art as part of Charlotte Street Foundation’s Every Street is Charlotte Street. She holds a B.F.A. in Acting from Cornish, and an M.F.A. in Ensemble Based Physical Theatre from Dell’Arte International School of Physical Theatre. 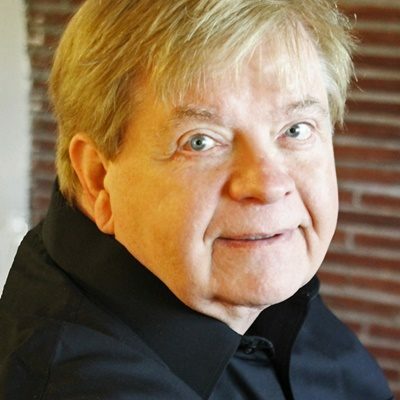 SqueezeBox Theatre is an intimate performing arts theatre in the East Crossroads operated by proprietors Karla Deel and Sterling Witt. This hand-crafted venue features the Memory Jar Bar built from a unique collection of oddities such as antiques, fossils, artifacts, bones and trinkets. The spacious bathrooms feature beautiful mosaic installations constructed from marbles, shells, porcelain, broken cups and plates and everything in between. The house comfortably seats up to 75 on risers that provide a great viewing experience for the audience. The large stage features green velvet curtains. The venue has 10 dedicated parking spots and plenty of street parking. Accessible bathrooms for all. Ticket Information: Tickets may be purchased in advance here, or at the performance, pending availability.